Over one in 10 households in the U.S. face food insecurity, according to the USDA. In Wisconsin, that totals to over a quarter million families who do not have access to sufficient and healthy food. 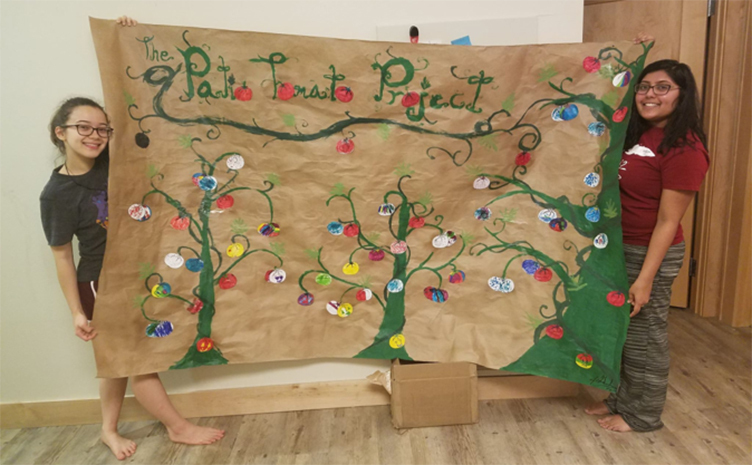 For then-freshman Caroline Hanson, learning more about the drivers and solutions for food insecurity in a First-Year Interest Group (FIG) inspired her to come up with a way to combat food insecurity in Madison — and thus, The Patio Tomato Project was born. Hanson is now a junior majoring in pharmacology-toxicology and botany. “I wanted to give families not only the materials for a single harvest, but the knowledge to enable them to grow plants for years to come,” Hanson said. 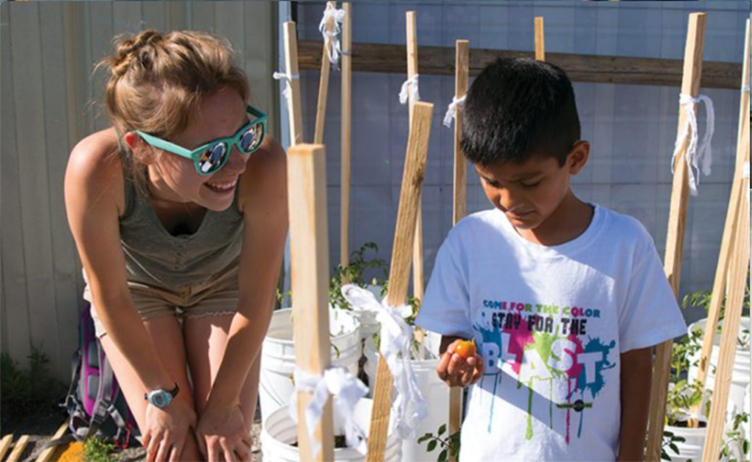 Hanson teamed up with Professor Jeri Barak-Cunningham to come up with a way to distribute 200 free, high-yielding patio tomato plants to low-income families to provide them with a healthy source of fresh fruit. Hanson received funding for the project through the Morgridge Center for Public Service’s Wisconsin Idea Fellowship (WIF) — an annually awarded grant for undergraduate student projects working towards solving a challenge with a local or global community partner. 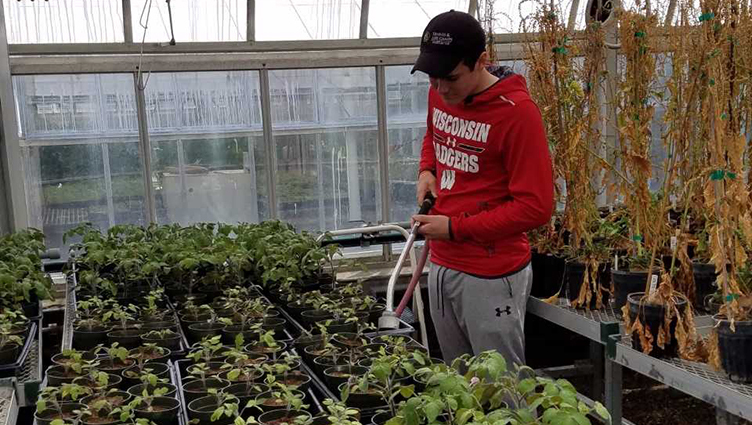 To break that barrier between the Madison community and campus, Hanson began planting at two campus greenhouses. She recruited other students to grow cherry tomatoes. Once ready, they shifted the plants into donated buckets for distribution. In the summer of 2017, Hanson crossed the campus borders — with 200 plants — to collaborate with The River Food Pantry on Madison’s north side. Hanson created workshops at the pantry to not only provide food insecure families with a fresh fruit source, but to also introduce them to basic gardening techniques and recipes. For Hanson’s advisor Barak-Cunningham, The Patio Tomato Project is representative of the Wisconsin Idea because Hanson learned about an issue at the university and became energized in finding a solution. Barak-Cunningham added that Hanson motivated her peers who would have otherwise not known how to get involved in an initiative to combat food insecurity. For Hanson, food insecurity is prevalent in our own backyards — and so, she fostered a community partnership to combat this issue. Hanson would like to organize a gardening workshop specifically for the youth that frequent food pantries. As a result of the success of The Patio Tomato Project, Hanson was also awarded the Net Impact Food Fellowship to expand the project. She is in the process of solidifying what goals she would like to accomplish with the Madison community.